The Prime Minister has been captured by aliens... Now only Laser Dolphin can save him! Blast your way through mines, missile fish, TNT turtles, and more! 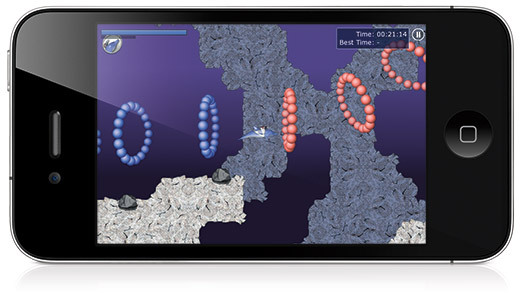 Get it for iPhone/iPod Touch and for iPad. In addition to 50 levels of laser blasting fun, there are 10 stunt levels and 10 race levels. In stunt mode you'll perform cool dolphin tricks to earn points. 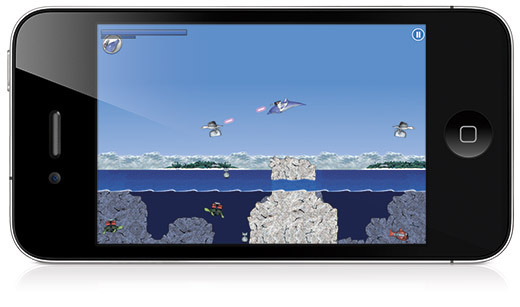 In race mode, you'll guide Laser Dolphin through a course of hoops as fast as you can. Game Center support is built-in, so you'll be able to compare your achievements and high scores with friends. 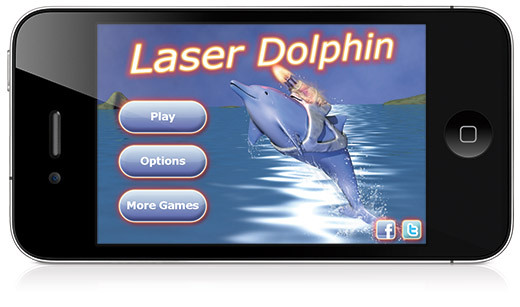 Get Laser Dolphin on iPhone or iPad now!